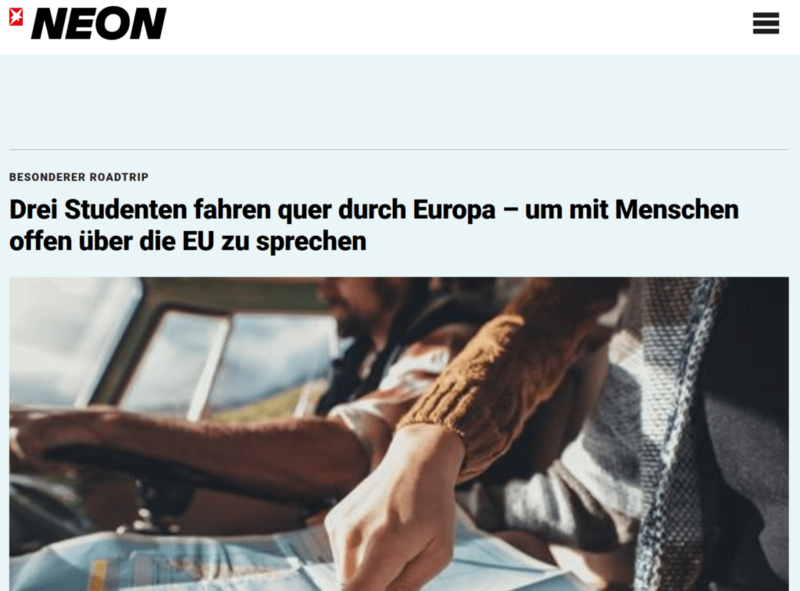 On this side, you can read what the press writes about us, the journey and our project on the road. 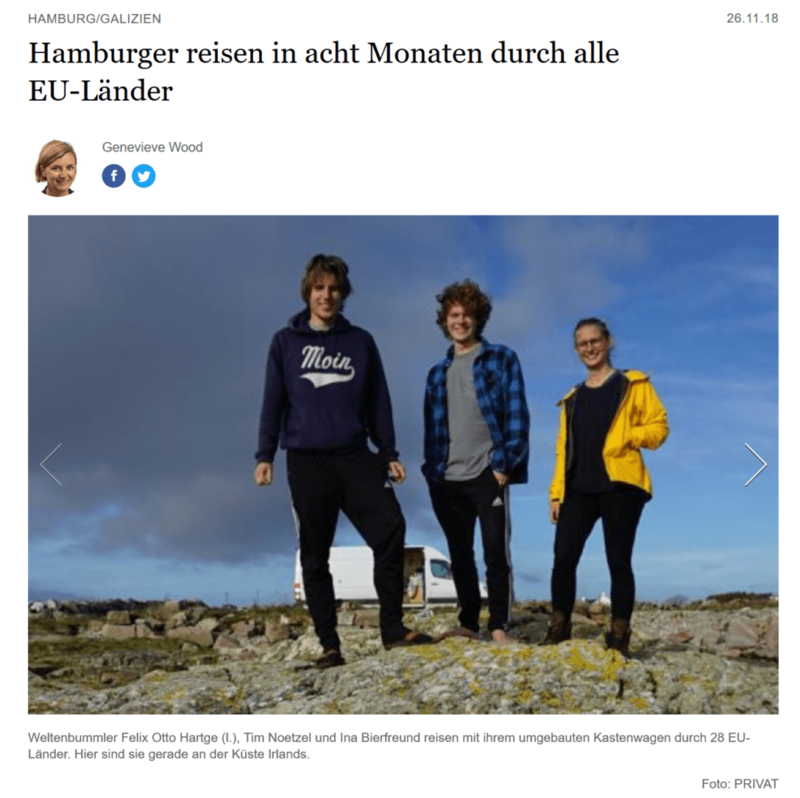 Click on the image to read an interview with us and the national newspaper DIE ZEIT. 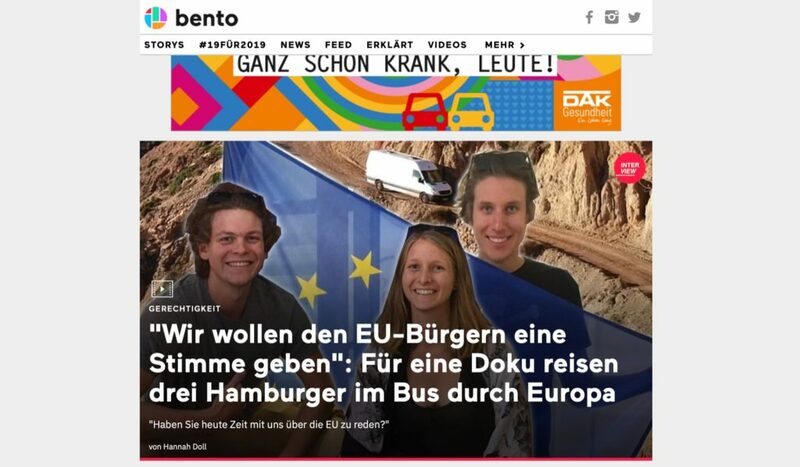 Click on the image, to see a video interview of us with bento. You can also get a first climpse on our drone shots and interviews with some of the young people, we spoke to so far. Furthermore, we are talking about our motivation for the documentary. Click on the image to read the article about our journey in NEON magazine, a Stern production. Listen to the FluxFM Radio post about our journey from January 23rd. Click here to listen to their cool Radiostation! 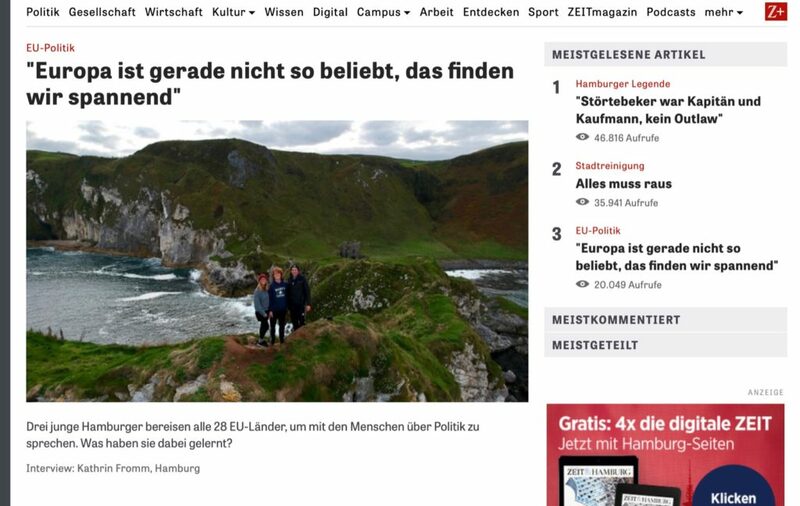 By clicking on the image, you will find out, what the regional newspaper Hamburger Abendblatt wrote about our journey. Plus, they added a picture gallery. 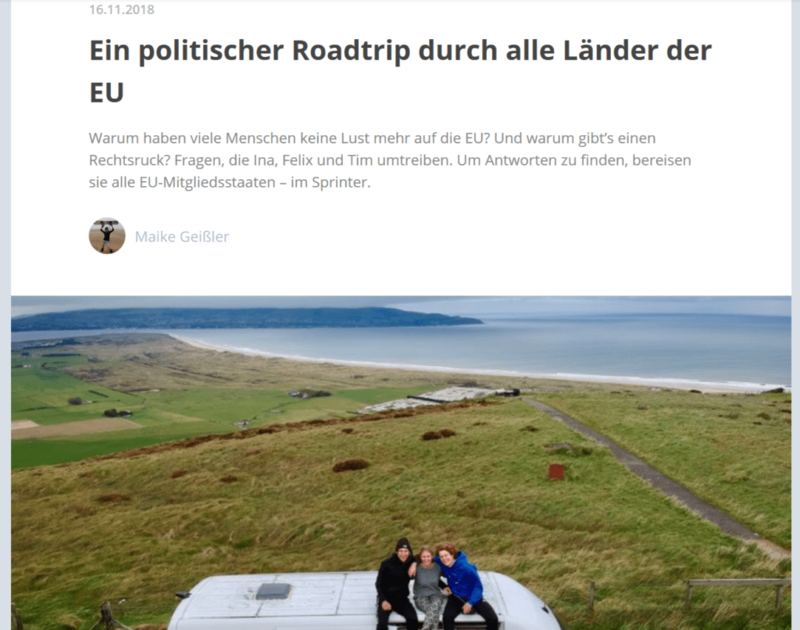 Find out, by clicking on the image, what Reisereporter wrote about our trip.